I kind of wish each eclipse had a name like hurricanes do. There just isn't enough of them, so instead a year is just attached to it. 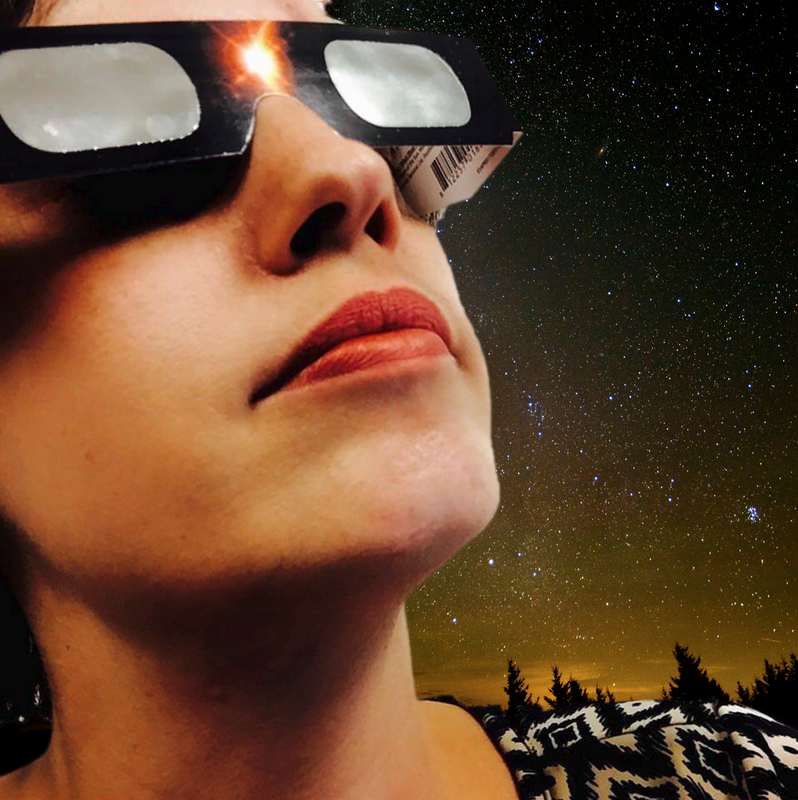 How cool would it be to call it a name like Solar Eclipse Sally, or Solar Eclipse Sam? Since I live in Nebraska, and it's the path of the eclipse - hotels have been booked for quite some time. Bill Nye is here in Beatrice, Nebraska. I already got an ear full on him. I mentioned him being here, and one of my co-workers apparently doesn't care for him because he's not a real scientist and he's anti Christian. I'm pretty sure anyone can be a scientist just for having an interest in science and doing science experiments. Much like anyone can be an artist, musician, landscaper... I'm sure he's not anti Christian. He's just anti some of their practices and thoughts. You can't tell me he doesn't have some Christian relatives and friends that he loves deeply. So there. I didn't say anything. I don't know the guy. I just thought it was odd she went there with such passion; like he's deeply offending her. I'm pretty sure she doesn't know him either. There's that. Ya it doesn't really have anything to do with the solar eclipse. I too was like, What the heck? Where is this coming from? NASA is flying jets across Nebraska. That's pretty cool! I guess traffic may be nuts here! I'm hoping no one I know gets into an accident. Travis has the day off, so he's traveling to Auburn to get out of the city. The boys have been learning about the eclipse in school. In particular talking about the safety of wearing legit glasses. They do have school, and will partake in the viewing. I have a lot of friends that live in Kansas City who found out last week that their kids do not have school. They are worried about kids taking their glasses off, having eye damage, and their parents suing the school. What are your thoughts on if school should get cancelled for the Solar Eclipse of 2017? I'm pretty sure the boys will get glasses in school. We wanted to make sure they had some just in case, as glasses were not mentioned. You could damage your phone, or camera. Just enjoy the experience! There are people trained to take photos and videos with filters for their lenses. I'm sure it will be all over the news, so if you can't get a good view - check it out later. Protect those eyes! Peace out! I would name the eclipses after different ways of saying "sun" in different languages. I also think that kids not going to school to witness it is cool! So experiences need to be had outside of the classroom. @Jessica - That would be cool to name eclipses after different ways of saying "sun" in different languages. I agree about kids not going to school at times. We're actually taking a vacay over Labor Day weekend, and they may miss a day. I didn't really care if school kept them for the solar eclipse, or not. How do they not think Bill Nye is a real scientist? He's a freaking mechanical engineer, which according to the definition is "the discipline that applies engineering, physics, and materials science principles to design, analyze, manufacture, and maintain mechanical systems". So what if he was on t.v. If he got a degree in mechanical engineering, he's still a scientist. 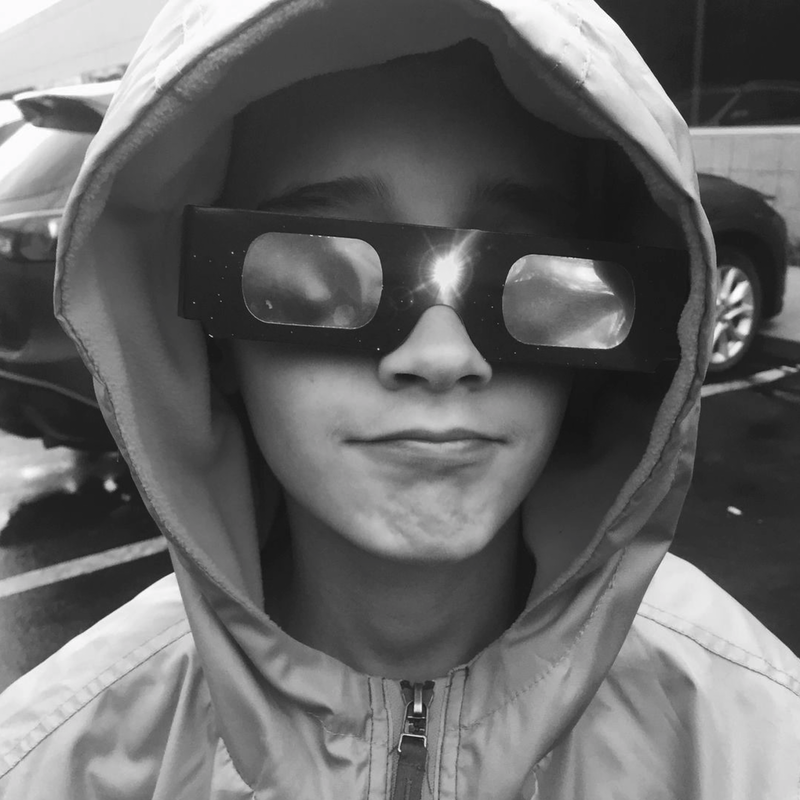 We were told the school bought special glasses for the kids and they would be going outside to use them to see the eclipse, however, if we wanted to keep our kids home that day to view it with them, it would be an excused absence. Allison came home pissed off because at the last minute they decided they were not going to allow the kids to go outside because if one happened to remove the glasses, they didn't want to get sued. One of the aids did sneak her out to see the ending of it though, but she would have loved to have seen it at its peak. If they weren't going to let the kids go out after telling us they would, they should have been allowed to call home so us parents could have picked them up and brought them home to view it. Theresa I work with a bunch of Kirk Cameron lovers. Don't get me wrong...I thought he was cute when he was in Growing Pains. He got stranger and stranger. No thanks! Bill Nye is a Science Guy to me. That's so strange the school Allison goes to had a change of heart about the viewing of the Solar Eclipse. Not fair! We were almost 92 percent here. They extended the school day for the kids so they could enjoy more of it. They ordered the kids glasses, but we did have to sign a release to allow them to watch it. The boys loved it and had such a great time! Lisa that sounds a lot like my kid's day. They extended school here for the eclipse. You had to sign a form saying if your child could go out and see it or not. (The school had glasses for all) If you wanted to take your child out early to be with them, you could do that too and not mess with their attendance. That is what I did... and the 3 of us were together to experience it, although nothing really happened here as far as getting dark. School was extended where I live because of traffic concerns. My experience viewing the eclipse resulted in very little to no traffic. I think I got lucky. 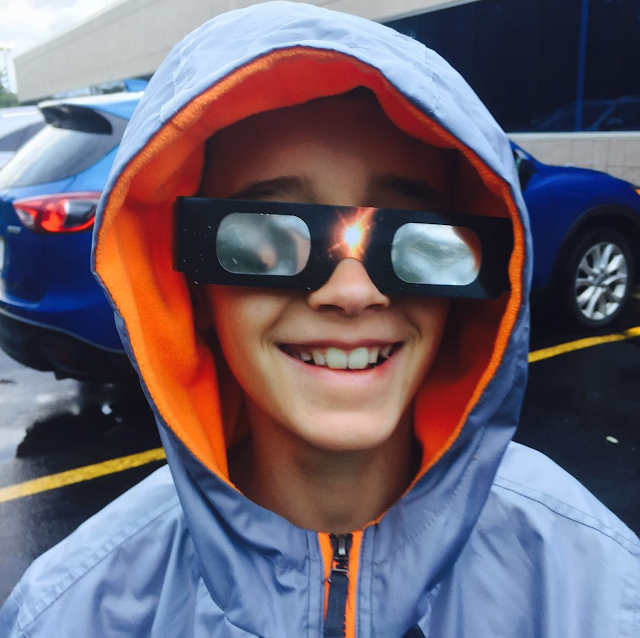 What did your kids think of the eclipse? Were they impressed? Or did they feel like it was a lot of hype for nothing? Mandy my 12 year old loved it! He's talking about traveling to see the next one when he's college aged. We'll see. My 9 year old didn't say a whole lot about it.